On October 11, 2004 Sean Bonniwell described this page as "an exhaustive -- rarely seen -- discography of MM releases (some of which never were) Billboard ads, and the curious omission of Guerilla Garage (no doubt to be included posthumously)." Hollywood -- Gene Simmons, General Manager of Original Sound Records, has signed the Music Machine, who have the masters "Come On In" b/w "Talk Talk," produced by Brian Ross of Associated Productions International. 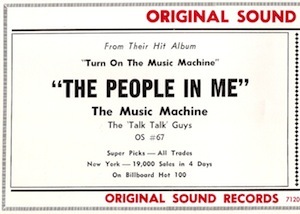 The Music Machine -- Original Sound 61. Hard rock side about a guy in a bad way. Good to the very last bar. Watch it. THE MUSIC MACHINE - Original Sound 71. Nitty gritty side from the coast groove groovers. Will stir action. 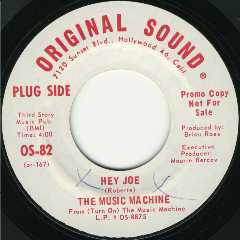 THE MUSIC MACHINE - Original Sound 75. Nitty gritty in the grooves here by the hit-making Music Machine. Sales will register. Soul-rock here from jiving group. The young set should go for the item. Warner / Reprise Chart Juggernaut Gets '68 Underway!!! Bill Cosby - Frank & Duke - Pet Clark - Trini Lopez - The Jimi Hendrix Experience All chart bound names with new product to start the year with a torrential talent windfall And The WB Seven Arts Youthquake rolls on too Jeremy & The Satyrs Bonniwell Music Machine Ramblin' Jack Elliott The Fugs - The Kinks The Youthquake is what's happening - and WB Seven Arts Is Where It Happens. All backed by A powerful merchandizing campaign nationally supported by ads in underground papers throughout the country eye-catching posters photo blowups album displays concentrating on college radio stations all aimed at a Youthquake Buying Audience With More Dollars And More Leisure Time. The Chart Juggernaut is under way! An original-sounding ditty with electric arrangement. The Machine should fly with it. 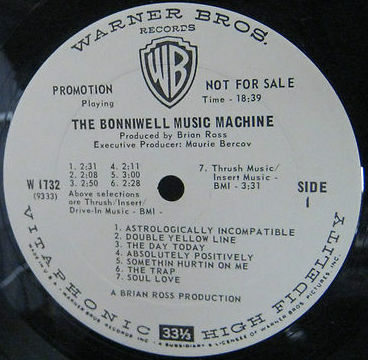 The importance of electronics to today's sound is best demonstrated in this 14-cut album with the renamed Bonniwell Music Machine, now acknowledging Sean Bonniwell, who wrote all the material. This LP features the singles "Me, Myself, And I," "Astrologically Incompatible," "Bottom Of The Soul," "Double Yellow Line" and "The Eagle Never Hunts The Fly." "Soul Love" is also topnotch. This rock and roll standard in a torrid version here will wow the kids. Could Connect. An unusual side from the usually hard-rocking Music Machine, this lid has a perky feel about it that could bring the group back into the limelight. Flip: Tin Can Beach (1:42) Same credits. [Demo (Back Cover) or Alternate Version (Booklet)] ? [Early Mix (Back Cover) or Alternate Version (Booklet)] ? Produced by BRIAN ROSS & MAURIE BERCOV for A.P.I. Garage-rock. Garage-punk. Garage-psychedelia. Call it what you want, but the operative word was garage. It was music often literally made in suburban garages during the '60s, in the wake of the Beatles-led British Invasion. And it birthed a renaissance that made instant heroes out of many regional bands rarely heard from again, while paving the way for the do-it-yourself ethic of today's alternative-rock nation. Think of the Beau Brummels from San Francisco, the Music Machine from Los Angeles, Barry & the Remains from Boston, the Cryan Shames from Chicago, the Amboy Dukes from Detroit, the Nazz from Philadelphia. 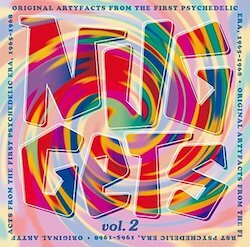 These are just a few of the bands represented on the new four-CD box "Nuggets: Original Artyfacts from the Psychedelic Era, 1965-1968" on Rhino Records. 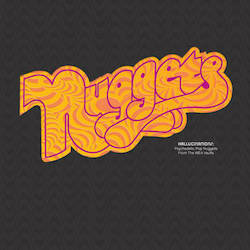 It's an expanded version of the original "Nuggets" disc released in 1972, which spawned the compilation/reissue craze so prevalent in retailing today. There was no shortage of American acts unashamedly jumping on the Beatles bandwagon. "In 1964, when the Beatles came out, I saw exactly what was going to happen," says Sean Bonniwell, singer with the Music Machine, which has two songs on the "Nuggets" box: "Talk Talk" and "Double Yellow Line." 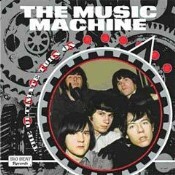 The Music Machine, however, became one of the most original garage-rock groups of that time. 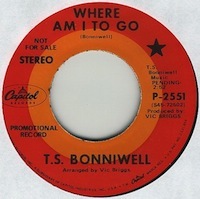 The band rode the songwriting genius of Bonniwell, who was ahead of his time in protest songs like "Eagle Never Hunts the Fly" (about government hassling) and "Mother Nature, Father Earth" (about ecology). They also had the technical genius of bassist Keith Olsen, who invented the "fuzzbox," which created a trippy guitar sound that revolutionized the genre. The group split up in 1969, but Olsen later became a prominent producer whose chief credit was Fleetwood Mac's mega-platinum "Rumours" album. Bonniwell, unfortunately, was not as lucky. Today, he lives in a garage on an Arabian horse ranch in the small California town of Porterville (between Bakersfield and Fresno). The garage has no running water (he does have access to the main ranch house for that) and he's fighting legal battles to recoup his song- writing royalties from the Music Machine's record label, Original Sound. Bonniwell is now a born-again Christian who is trying to deal with his anger over his perceived mistreatment by his label. "The Lord says I must forgive my enemies," he says. He still sounds full of life, though, and is still writing songs. "I never stopped writing," he notes, adding that he even has three albums' worth of unrecorded material from the Music Machine days. And what heady days those were, he recalls. The Music Machine once played 35 nights in a row. "You just threw everything in your VW bus and off you went," he says. "We'd play almost anywhere, any time, but our resources were never coordinated at all. That, and the fact that we rarely got paid. You couldn't take a check from a promoter back then, because it would bounce. So I'd have a big brown shopping bag and take the cash from the door." Although the Music Machine had a druggy, psychedelic sound, Bonniwell says he didn't do drugs and was "as straight as an ice cube tray." But the group was radical in other ways. 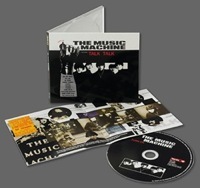 In order to stand out from the garage-rock pack, the Music Machine dressed all in black, complete with dyed black hair and black guitars, amps, and drums. They even wore a black leather glove on one hand (this was long before Michael Jackson's single-glove look), all of which conspired to get them into trouble when touring backwater spots in, say, the Deep South. "I went into one place in the South and wanted to use the restroom," Bonniwell relates. "And this was still in the days when there was segregation. The owner said, 'The white restroom is here, the black restroom is there, and you ain't got one.' "
While many of the acts on the "Nuggets" box turned out to be one-hit wonders, there's still a spirit that makes this one of the most essential collections to any rock historian's library. The suggested retail price is not cheap ($ 59.98), but it's a bargain considering there are nearly 30 songs per CD. Turn On the Music Machine. The Music Machine. Compact disc. Performance PERF 397CD (P.O. Box 156, New Brunswick NJ 08903-0156), 1993. 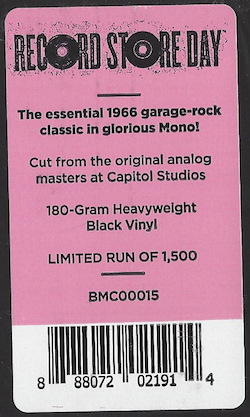 Recorded 1966. Produced by Brian Ross. 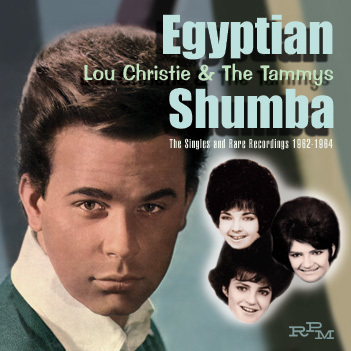 Reissue produced by Stephen Kaplan and Arthur Marko. Beyond the Garage. 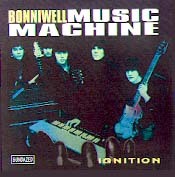 The Bonniwell Music Machine. Compact disc. Sundazed SC 11030 (P.O. Box 85, Coxsackie NY 12054), 1995. Recorded 1967-1968. Produced by Brian Ross and Sean Bonniwell. 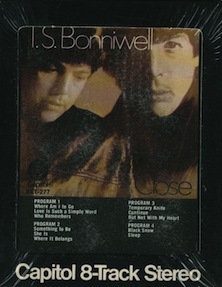 Reissue produced by Bob Irwin and Sean Bonniwell. 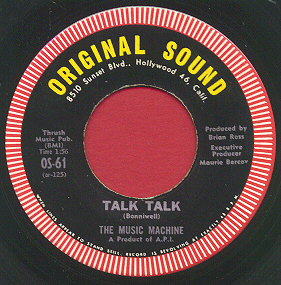 The Music Machine's "Talk Talk" was probably the most uncompromising single heard on Top 40 radio in 1966. Lead singer and songwriter Sean Bonniwell growls like a misfit from Mars. The chord change leading into the bridge is audacious and unheard-of. The entire song is pure, ugly wallop. 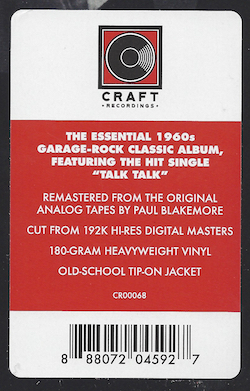 Unfortunately, "Talk Talk" was only a minor hit nationally. Worse still, the Music Machine became a one-hit wonder, which means that relatively few people have heard the marvelous body of work that fleshes out the promise of "Talk Talk." That is a situation that can now be remedied, thanks to the release of these two CDs, which comprise almost the entire Music Machine catalogue (only a few cuts are missing, and these oversights are avenged by the release of several previously unissued tracks). 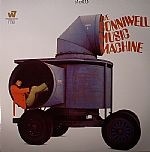 What is revealed in these recordings is the genius of Sean Bonniwell-a true American original. Bonniwell has an amazing voice. The closest points of comparison are Eric Burdon, Tom Jones, and Scott McKenzie-as bizarre as that combination may seem. Bonniwell shifts effortlessly from punk screaming to smooth ballad stylings. His pitch range is incredible. He is a brilliant singer. On top of that, he has a unique personal vision, which guides his songwriting. 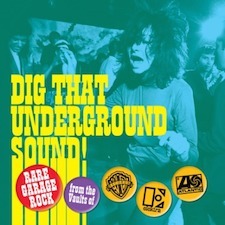 Beyond the Garage consists entirely of original material and is full of should-have-been hits. 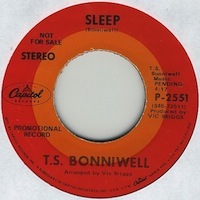 Bonniwell's best recordings are almost impossible to describe. "The Eagle Never Hunts the Fly," a favorite of mine, is both chaotic and tightly structured. The arrangement is noisy and unrelenting, but richly textured in its own way. The words are about ecology, predation, and (probably) love, mixed together angrily and sarcastically. This is a frightening, devastating record. Turn On unfortunately includes five cover versions, which are adequate but much less interesting than Bonniwell's original songs. "Taxman," "See See Rider," and "Hey Joe" are the worthiest covers, with the latter being both slow (a half year before Jimi Hendrix) and operatic (!). Turn On also features "Talk Talk" and its excellent followup, "The People in Me." "Punk" that he is, Bonniwell is no snot-nosed sniveler. His approach is entirely adult, and his songs are for adults. This may be why commercial success mostly eluded him. You hear that Vox/Farfisa organ sound and expect bubblegum. What you get instead is mature psychodrama. Expecting a nasal, tenor "Come on down to my boat, baby," you get a throaty baritone, singing: "Come on in and show the world the soul you've never had, and tear away from dreams unborn. Shed the cage that makes you sad. Come on in. Don't cry no more. Come on in . .and close the door." (Another interesting comparison is the Monkees' curiously upbeat protest song "Pleasant Valley Sunday" vs. Bonniwell's much darker "In My Neighborhood," which covers the same subject.) The Music Machine had a commercial "sound" but were not juvenile or trivial enough for their own good at the time. That 1960s misfortune makes their work all the more listenable now. Excellent musicians rounded out the Music Machine, and arrangement and production also shine in these recordings (except that the stereo mixes are generally primitive and often annoying). One odd fact that strikes me as I listen to the Music Machine now is that they knew exactly how to use a tambourine. But that is only the least of their charms. 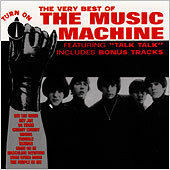 More importantly, the Music Machine pioneered punk rock while remaining a multidimensional band that also excelled at ballads, blue-eyed soul, and even dixieland flavorings. 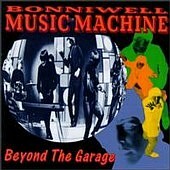 Bonniwell's visions and dreams took him far "beyond the garage" to create a great panorama of American music. His songs deserve to be heard. 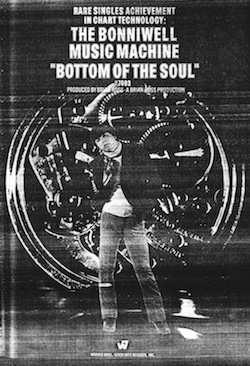 The packaging of Beyond the Garage lives up to the usual high standards of Sundazed Records, with original liner notes plus several additional pages (including reflections by Bonniwell). Turn On is a barebones reissue with no new songs or liner notes-too bad it was not a Sundazed project. Bonniwell has also written a touching and fascinating "autobiographical novel," called Talk Talk. It is available from Christian Vision Publishing, PO. Box 409, Porterville CA 93258. Band: The Music Machine . Personnel: (original lineup) Sean Bonniwell , vocals, songwriting and guitar; Ron Edgar, drums; Keith Olsen, bass; Doug Rhodes, organ; Mark Landon, lead guitar. 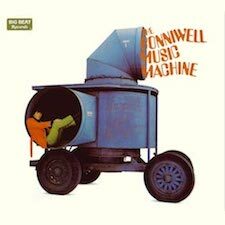 Record: "Best of the Music Machine ," Rhino Records. History: Caught up in the swirling excitement of soon-to-peak psychedelia, various American "garage bands"-several from Los Angeles-began to experiment in late '66 and early '67 with a brash, raw sound that would later be termed "protopunk." Among them: Seeds, Standells and Music Machine . Inspired by English bands like the Yardbirds and the Who, these U.S. outfits discharged what might be called aggressive confusion, swinging their chief weapon-the chain-saw buzz of fuzztone guitar-at enemies both real and imagined. "Talk Talk" was Music Machine 's only big hit, but one that expressed the raging style with a fury exceeded at the time perhaps only by Love's "Seven and Seven Is." The band's subsequent recordings for the Original Sound and Bell labels achieved little more than regional success. There was only one album, "Turn On." In late '67, members began to drop out, including Olsen, who began a production career that led to albums with Fleetwood Mac and Pat Benatar. Bonniwell kept MM going two more years, then tried a solo turn with little luck. Sound: Psycho-rock at its finest and progenitor of such modern songs as "Institutionalized" by Suicidal Tendencies, "Talk Talk" has a charged-up, manic urgency that still delivers a punch. 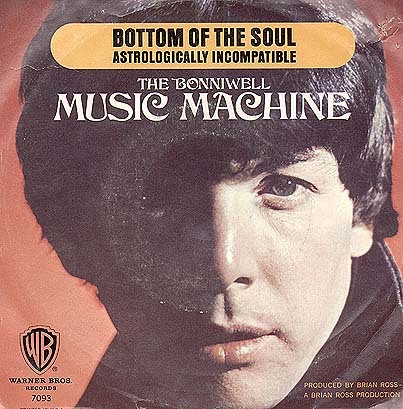 It's hard to believe that a band able to wax something that powerful faded, but this smart compilation of singles, album cuts and four unreleased tracks shows that Bonniwell was never able to write anything quite comparable. Rockers like "Absolutely Positively" and "The People in Me" skillfully emit neurotic vibes but fall short of the hit's musical drive and vocal tautness. Still, several songs have a semi-naive, garage-psychedelic charm and considerable energy, and the album ends with two unreleased cuts from 1969 that indicate the group was getting the knack for newly evocative, moody material just before it broke up. From the Summer of Love to the Winter of Content, Keith Olsen has balanced technical suss with musical sensibility and produced some classic recordings. Dan Daley shares his view of the changing ages. SOMETHING SEEMS to happen to people from colder climes when they get to LA. Something about the palm trees, perhaps, which are as non- indigenous to Southern California as most of the people who live there. More likely, it's the weather. It's manifest in a physical and intellectual freedom that comes with the knowledge that you will never be shut in again by 7-foot snow drifts-the kind commonly found on the plains around Sioux Falls, South Dakota, where Keith Olsen was born. After growing up in the equally frigid environs of Wayzata, Minnesota, Olsen attended the University of Minnesota where he got hooked up as the bass player with a few local bands, one of which, as he puts it, 'dumped me off in California in the late 1960s'. It was a fortuitous dumping, indeed, for Olsen went on to become one of the seminal producers of radio rock in the 1970s and 1980s. His oeuvre is prodigious-Fleetwood Mac, Eddie Money, Emerson, Lake & Palmer, REO Speedwagon, Rick Springfield, Starship, Heart, Joe Walsh, Stevie Nicks, Whitesnake, Kim Carnes, Sammy Hagar, Santana, Pat Benatar, Foreigner and the Grateful Dead. See what getting out of the snow can do? But how did one transition from journeyman musician to the other side of the glass? In a sense, how did one not, back in the days of the Summer of Love. 'A producer in those days was a guy who used to tell you how good your take was,' says Olsen, sitting in his publisher's office in Nashville, where he is working on getting this town to open up its catalogue coffers for material to work on his next project, multichannel surround mixes for Olsen's KORE Group Records. But more on that later. After an introduction to production from the late Kurt Baetchler, who produced the Association's classics 'Cherish' and 'Along Comes Mary', Olsen helped form the Music Machine whose radio hit 'Talk Talk' got Olsen on the road again, but at a higher level, and kept him tangentially tied to the evolving LA music loop. Upon his return to LA, he was ready to take a shot at his own productions, but first, he recalls, he realised that, as the equipment of recording was evolving so quickly, he needed to spruce up his technical chops. 'I had enough electronic training in college to know what's going on underneath the desk and enough music training to know what should be going on on the other side of the glass. And then these good opportunities to go start working with some bands started coming in-this was around 1971. But even though I had learned the musical palette, I needed to know more about engineering. So I hooked up with Gary Paxton's studio in his garage, then with Sound City in the Valley. The board was a couple of equalisers, an old mixer and some wire switches. I think it was a 3-track machine, then a 4-track, a Scully. But I was learning the ropes and meeting people. I met Brian Wilson at his house just after the Beach Boys had done Smiley Smile. And he was a little outside even then. But I learned from him to envision everything about a production as you hear the song the first time. You've got to see the whole picture, and get to the point where you can see and hear where everything should be. It takes a while to learn how to do that. The engineering experience he gained was critical to the success of future productions, enabling him to become a producer in a more traditional manner-switching chairs in the middle of a recording session when Jerry Wexler gave him the green light to finish Mac Rebenack's Dr John's Gumbo record in 1972. The credit opened the door for Olsen to hang out his producer's shingle. The first act he worked with was Lindsey Buckingham and Stevie Nicks before they assisted Fleetwood Mac into its pop phase. Both the music and the technology were about to emerge from their respective incubators at the same time, with a synchronicity that was perfectly timed for Olsen and his innate pop sensibilities. 'The technology was starting to get better,' he remembers. 'The consoles, the microphones could all take ever-higher SPL levels, so we weren't distorting the preamps every time the snare drum hit. 'For a while I had been doing a bunch of weird acts-the Grateful Dead and The Sons of Champlain-real San Francisco acts. I did Terrapin Station with the Dead. I was really learning to be a producer working with acts like that. It wasn't enough to get the Dead big radio hits-that would have to wait another 15 years for 'I Will Survive'. But the lugubriousness of the San Francisco music that was coming to LA to record was a useful learning tank for Olsen as pop music and recording technology were about to join forces and put corporate rock on the map in a big way. On Foreigner's 1978 Double Vision album, Olsen was looking for new ways to cut guitar sounds and stumbled onto the notion of using the inherent fuzziness of wireless systems when guitarist Mick Jones showed a predilection for staying in the control room while playing at New York's Atlantic Studios. 'The long cables running from the control room to the studio were taking the top off the sound,' Olsen says. 'We didn't have amazing cabling then like we do now. It was more like zip cord. But the gain from the transmitter on the wireless gave us a little more input power, and that gave us back a very cool top end. The amps were set up in the studio in a corner-when you corner-load the cabinets you get a really great bottom end out of them. And we miked them with some kind of Shure mics-that was about all we had for high SPL mics back then. And we used the room for natural reverb with some mics placed relatively close around the amp as well as right on the speakers. 'For the drums, I built a riser with cinder blocks from a construction site and thick plywood on top-there was no ring to the drum sound any more. The drums had snap and power. Combined with the angle of the mics on the drums, we had eliminated the ringiness of the kit. I had figured out part of that when I was working with Fleetwood Mac; their drum sound was so tight because the room was so dead. I had been experimenting with recording in more live environments, but I found that if you had a real live environment you get so much destructive interference from reflections that you get a real roomy drum sound but you don't really get any of the power, the snap, punch and crack. 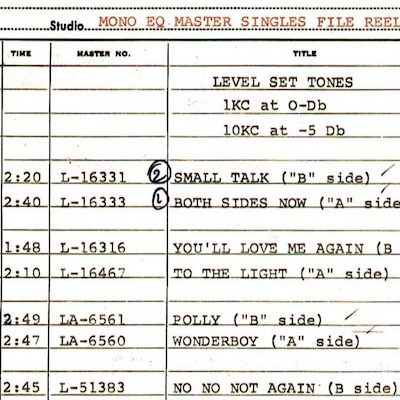 Like it or not, Olsen was looking to create the sound in the tracks, not in the mix-a classic approach in the days before remixers had even been heard of, and one that helped define the radio sound of the day. One that wasn't difficult was Rick Springfield's classic 'Jessie's Girl'. Then there were the ones that didn't go quite as smoothly. Preparing for the follow-up to Whitesnake's hugely successful Slide It In in 1987, lead singer and band leader David Coverdale had been working with another producer at Compass Point Studios in the Bahamas. But Coverdale was hung up on the vocals, and he and cowriter John Sykes called Olsen in mid-way through the project. So did a few others, including Heart's 'Passionworks', REO Speedwagon's 'Here With Me' and Pat Benatar's 'Precious Time', not to mention Fleetwood Mac's 'Rhiannon' and 'Over My Head', which took the band's eponymously named first album to 9 million in sales. Olsen has a new project now, based on a new technology. DVD offers over 9Gb of storage capacity, which makes the Red Book CD look like a piker, indeed, with its barely 650Mb of data. While name-brand technology has never held any particular allure for Olsen-his 20-year-old personal studio, Goodnight LA, is fitted with a 96-input Trident Di-an console, and of which he laughs, 'I'm the only man in the world using one on a semi-regular basis'-DVD holds some business potential that he finds irresistible. The rapid growth of home theatre: over 10 million US households have some type of surround-sound system, and another 23 million are equipped with Dolby's Pro Logic matrix surround. This has opened the possibility of delivering surround music mixes on DVD, and a truncated matrixed version on CD, the latter of which Olsen started doing last year with the formation of the KORE Group record labels. The latter of these he is gearing up for as the new disc technology slowly, but inexorably comes on line. Two new artists, one in jazz and one in new age, and two sampler discs of remixed material, have been compiled thus far. The KORE Group's plan is to license existing masters, remix them for surround, and rerelease them, using a variety of direct mail and retail outlets. The project started three years ago and pulled Olsen out of the production loop-voluntarily, he says. 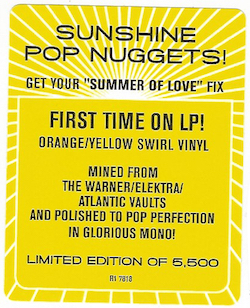 'It gives us great pleasure to finally make available a consummate package by one of the best rock bands to emerge from the mid 1960s. Because of their aggressive attack and dress-all black, including dyed hair and black glove on one hand only-the group was placed in the vanguard of the punk rock boom. But the Music Machine was much more than that. 'Songwriter Sean Bonniwell assumed various provocative stances and propelled his men through a series of successful experiments, unusual approaches to tuning, use of cymbals, bass emphasis, electronic guitar sounds, an early version of the fuzz box created by bassist (now producer) Keith Olsen, all aided by the production team consisting of Brian Ross, the producer, and Paul Buff the recording engineer. The latter, an electronic genius, invented a 10-track recording machine during a time when most other advanced studios were struggling with four tracks. The records of the Music Machine just might have been the most state-of-the-art of their day.